Be it dry skin, oily or a combination of both, OXY V-Charge Scrub Face Wash is suitable for all skin types. It is the perfect solution for men who have hectic schedules, leaving their face dull and energy-less. Its mild scrubbing action cleanses pores from within and gently removes dead skin cells, blackheads and whiteheads. OXY men's face washes are designed specifically for each lifestyle and need. Infused with a unique combination of effective ingredients, each OXY Face Wash variant helps restore, sustain and improve skin vitality, making it worthy of celebrity status! Explore the entire range of Scrubs & Exfoliators available on Nykaa. 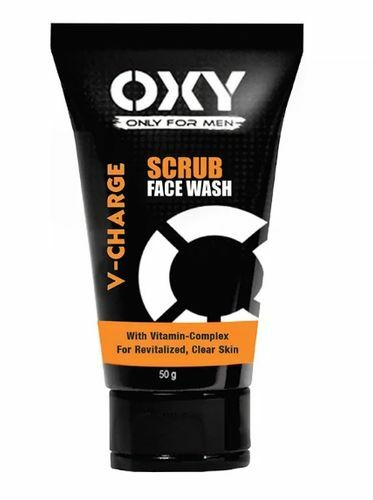 Shop more OXY products here.You can browse through the complete world of OXY Scrubs & Exfoliators .Alternatively, you can also find many more products from the Oxy V-Charge Scrub Face Wash range.